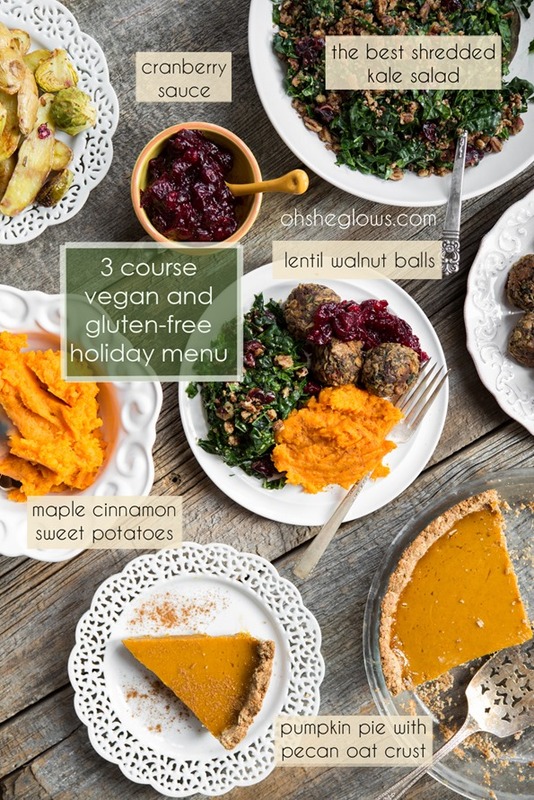 3-Course Vegan and Gluten-Free Holiday Menu – Step-by-step! It’s a really good thing that I love to cook because you told me loud and clear that you wanted some help with menu planning. I understand it’s not easy, but now it can be much less stressful. It looks like we’re going to be eating really well for the next few days. No complaints here. Not that this is the first time I’ve posted a holiday menu on the blog. There was that time in 2010 for Project Food Blog and then again in 2011 just for kicks. I guess I was due for an update! I truly think this is the best one yet. Maybe I’m biased, but I think my recipes improve over the years. That means there’s always room for a fresh take on a menu. Yeehaw! 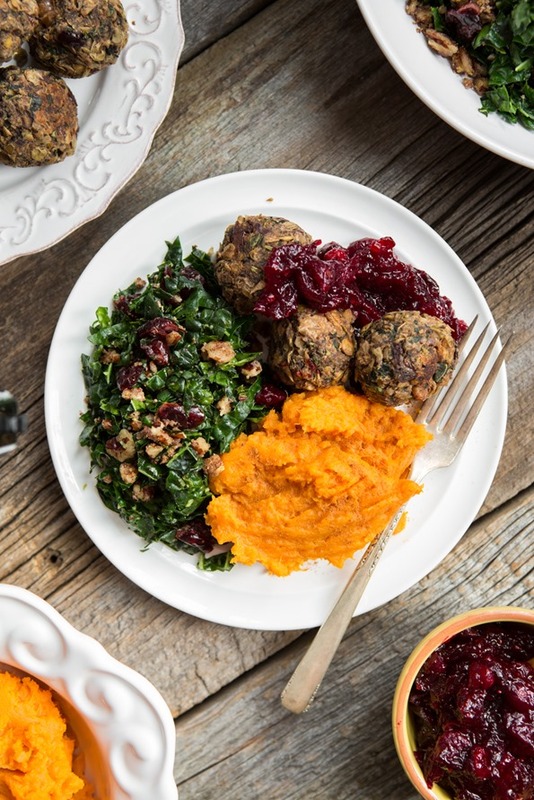 I’d like to walk you through a relatively simple holiday meal plan today for 4 people. Adapt it as you see fit. My goal was to create some dishes that could be made the day before. I also wanted the prep on the day of to be minimal. So no, I’m not throwing a ton of recipes at you today and telling you to spend 3 full days in the kitchen. I did my best to simplify things without sacrificing flavour. It’s a fine line! My prep time the day before was under 2 hours and my prep time the day of was about 1 hour. Not too shabby, right? This isn’t meant to be a huge, extravagant holiday meal, but rather a delicious and special menu for 4 people. If you are serving a big crowd, you will definitely need to multiply this to suit your group size. Prepare this salad the day of your meal. The flavour is much better when served shortly after preparing it compared to letting it sit overnight. (Yes, I compared the two! I thought the overnighter was going to win, but it didn’t). Prepare both the day before, but do not cook the balls until the day of. I shaped the mixture into balls, placed them on a plate, covered with wrap, and refrigerated until the next day. Then I cooked as directed just before the meal. Easy! You can also cook and freeze the balls for up to 1-1.5 weeks. Thaw on the counter or fridge and reheat in the oven. Prepare this quick and easy side dish the day of. This side dish stole my heart! I absolutely love mashed sweet potatoes made with a bit of vegan butter, maple syrup, sea salt, and cinnamon. Nothing beats it. If you haven’t tried them prepared this way, you really should. The prep is just 10 minutes! I used 2 large sweet potatoes, but you could easily get away with using 3 potatoes for 4 people. If you are looking for another side dish to add to the fun, I recommend my Cranberry, Apricot, and Pecan Wild Rice Pilaf. You can probably prepare this pilaf the day before. Like little fluffy clouds of pure bliss, these maple cinnamon mashed sweet potatoes make a lovely addition to any holiday meal. It reminds me a bit of sweet potato casserole, only without the marshmallows. The prep is just 5-10 minutes, so it makes a quick, last minute side dish without much fuss at all. This batch will just barely serve 4 as a side. You could easily get away with increasing the potatoes to 3 instead of 2 (and adding more of the other ingredients as needed). No one ever complained of having too many sweet potato clouds, you know. Add peeled and chopped potatoes into a medium pot and cover with water. Bring to a boil. Reduce heat to a simmer and cook until the potatoes are fork tender, about 5-8 minutes. Drain. Add potatoes back into the pot and with a potato masher, mash in the vegan butter until smooth. Now add the rest of the ingredients to taste. Serve immediately. Note: Instead of vegan butter you can try using coconut oil, although I haven't tried this yet. For a soy-free option, use soy-free vegan butter or coconut oil. Prepare this pumpkin pie the day before. 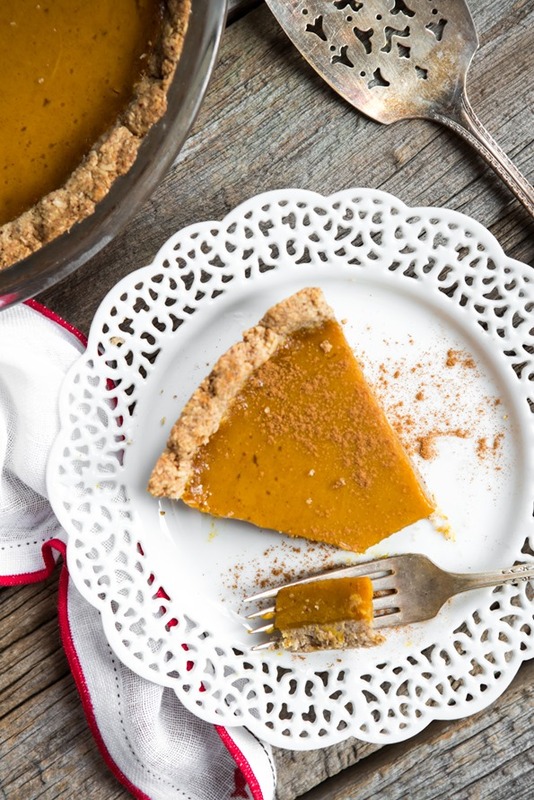 A simple pumpkin pie filling with a delectable nutty crust! This pie is lightly sweetened and doesn’t feel too heavy or give you a sugar crash after indulging. Tip if you need a nut-free pie, feel free to use a store-bought crust (or your favourite homemade crust recipe). I really think this crust makes the pie though, so if you can swing it, definitely make it! It’s so easy too – all you do is press it in…no rolling involved. Not feeling pumpkin pie? Try my Chilled Dark Chocolate Pie instead. A little chocolate around the holidays is always appreciated. A simple pumpkin pie filling with a delectable nutty crust! This pie is lightly sweetened and doesn't feel too heavy or give you a sugar crash after indulging. Prepare this pie the day before, so it has time to set in the fridge overnight. Crust is adapted from my Chilled Dark Chocolate Pie and the filling is adapted from my Vegan Pumpkin Pie Squares with a Graham Cracker Crust. 1 cup gluten-free rolled oats. For the crust: Preheat oven to 350⁰F and lightly grease a 9-inch pie dish with coconut oil. Add pecans into a food processor and process until a fine crumb forms, the size of sand. Be sure not to process the pecans for too long, or the oil will release. Now add the coconut oil, maple syrup, salt, and oat flour and process again until the dough comes together. Finally, pulse in the rolled oats until the oats are finely chopped, but still have some texture to them. The dough should stick together when pressed between your fingers. If it doesn’t, try processing for a bit longer. With your fingers, crumble the dough evenly over the base of the pie dish. Starting from the middle, press the mixture firmly and evenly into the dish, moving outward and upward along the side of the pie dish. The harder you press the crumbs into the dish, the more it will hold together. Poke 5-6 fork holes into the bottom to let the air escape. Bake pie crust, uncovered, at 350⁰F for 10-13 minutes, until lightly golden and fragrant. Remove from oven and set aside to cool on a rack for at least 5 minutes. For the filling: In a small bowl, whisk together the coconut milk (or almond milk) with the arrowroot powder until smooth. In a large mixing bowl, whisk together all of the pumpkin filling ingredients, including the arrowroot and cream/milk mixture. If your pumpkin puree is firm and grainy - add this filling into a processor and whirl it until smooth. You might need to add a bit more cream/milk if your pumpkin was really dense. Pour this filling into the baked crust and smooth out. Bake the pie, uncovered, at 350F for 37-45 minutes until the pie is semi-firm, but still a bit soft. Watch the crust and cover with tin foil if necessary. My crust was nice and golden at 40 minutes (when I took it out), but not burned. Serve the pie straight from the fridge, with some coconut whipped cream, if desired. Note that the pie will get quite soft at room temperature so I don't suggest keeping it out for longer than 10 minutes at a time. 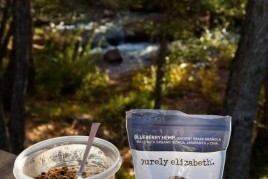 Note: 1) To make the oat flour, add 1/2 cup + 1/3 cup rolled oats into a high speed blender. Blend on high until a fine flour forms. 2) Note that using the coconut cream will give the pie a light coconut flavour. Use almond milk as an alternative if desired. Edited to add: We’re having a small issue with our recipe plug-in (in this post) and we’re working on fixing the bug. Thanks for your patience! Well, we have full, grateful, and happy bellies going on over here. And the best part is, I don’t feel like sleeping on the couch for 6 days. Success! Let me know what you think of the recipes if you try them out. Love ‘em, hate ‘em, find a new way of doing something? Let us know in the comments, as always. Oh man, it all looks so good! Especially the sweet potatoes and pumpkin pie! DELISH!! Thank you, Angela……we’re having YOUR Thanksgiving Dinner….can’t wait! Thank you thank you! The holidays are a hard time to by-pass turkey and gravy but this makes it so much easier. Plus, the outcome is so beautiful I’d be proud to take these to any diner party. Lovely menu! Especially since thanksgiving is almost here; I like the simple meal for four people just right. Thanks so much for putting this together – everything looks amazing! This looks like a stunning mal, and so colourful! I will be saving these recipes for Christmas dinner. Thank you, Ange! Can I just come to your place for Thanksgiving? Everything looks amazing! I’m impressed that it only took 3 hours total. Turkey takes all day and doesn’t look half as good as this lineup, in my opinion. I have to try that pecan parmesan salad. I already have planned what I’m going to make for the holiday but I will definitely be making that for myself sometime soon! 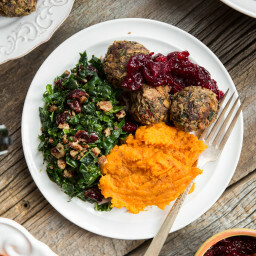 For the Lentil Mushroom Walnut Balls, do you think I could sub sunflower seeds or a mix of sunflower and sesame seeds for the walnuts due to a nut allergy? Any other ideas? Thanks! Yes I totally think you could! I probably wouldn’t use a full cup sunflower seeds, but 1/2-2/3 cups might be a good amount so you don’t overwhelm it with the sunflower flavour. I would probably roughly chop them too. Let me know how it goes if you try it out! Good luck. I ended up going with the sweet potatoes because the roasted potato + brussels crammed my oven too much. hah. The SP are nice because it’s a quick stove top recipe! This menu is AMAZING! I can’t wait to try everything on it. Oh my gosh… I want it all right now!! That pie, the cinnamon mashed potatoes, the kale, the cranberries… you’ve got me salivating over here Ange! No one in my family is vegan, but I bet they would love this meal. It looks fantastic and that pie would be so tasty. I may be making that to take this year! This is gorgeous and looks delicious! I love how you break it down to make it so easy and approachable. Thanks for being a great resource for plant-based options! This looks delicious– and healthy. Do these recipes make for good leftovers? Amazing!!! If I could go anywhere for Thanksgiving dinner…your house! :) Are you making all of the above or taking a day off yourself? 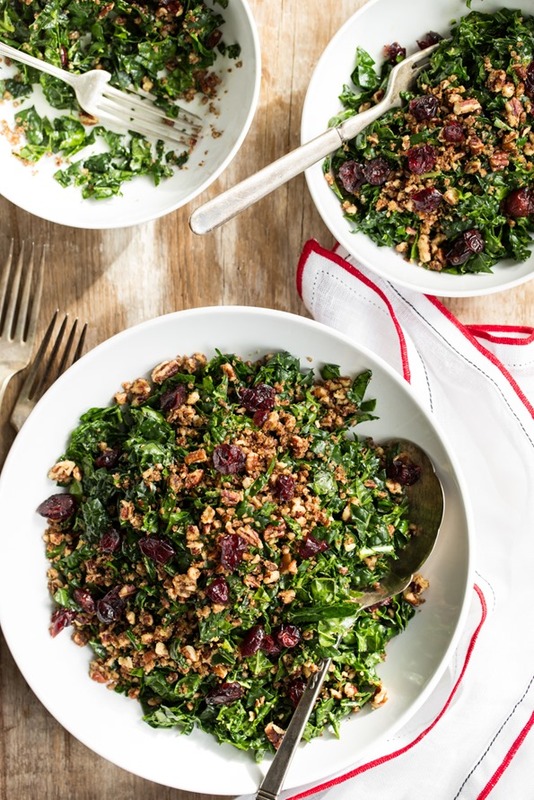 Looks delicious and I would love to try making that kale salad! So many recipes, thanks! The sweet potatoes say to serve immediately. What happens if I make them the day before and reheat them? Happy Thanksgiving! This all looks fantastic! I wish I was going to your house for thanksgiving! Have a great holiday! Every year your Thanksgiving and holiday posts are epic and amazing and this is no exception! Have a wonderful holiday, Angela! The pie looks delicious! Can it be warmed in the oven before serving, or is it best served cold? Thanks! Can we use a raw pie pumpkin instead of pumpkin purree? I know some recipes are specifically for raw or canned.. And also, is there any way we can sub for arrowroot powder? It’d be much appreciated if you could answer my questions before thanksgiving. Thanks! 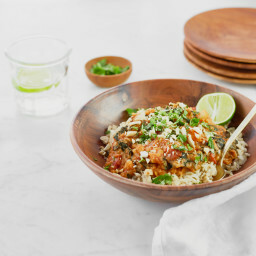 Those lentil balls look delicious. This meal looks amazing!! Thank you so much for the menu and for providing gluten free vegan recipes that taste amazing! I am so thankful to bloggers like you who have provided numerous recipes to make eating a gluten free mostly plant based diet easier! This is just beautiful Angela! Such a well-rounded & colorful feast. I love it. Since I’m 7 months pregnant & we’re doing Thanksgiving alone, I’m not quite up to doing a full spread. But we’re doing a mini version tomorrow night then going to a gluten-free, vegan restaurant that is doing a Thanksgiving family buffet. I hope that the foods served will be as lovely & delicious as your menu! I pre-ordered your book and I am so excited to receive it in the mail!! I absolutely love this. I am going to make it for my brother when he comes to visit. Yum everything looks delicious! And that pie… to die for. My sister in law in GF and I am vegan so it is always tricky to find a good dessert we can both enjoy! Can cornstarch or tapioca starch substitue the arrowroot powder? Oh my goodness! A pumpkin pie recipe without tofu?! How exciting!! Thank you for sharing these wonderful recipes. Thanks so much Amy, that means a lot. Yes it is a LOT of work…the challenge is to make it look easy! ;) Congrats on your new job! all of your recipies look amazing. I personally am not vegan or following a vegan diet, but I am looking for recipes that fit my 9 year old Niece’s diabetic diet. would you happen to have the diabetic exchange information?? Hey Angela! Which pumpkin pie would you recommend more to make for Thanksgiving? This one or the one you made in 2011? I can’t decide! So exciting! I am definitely using your mashed sweet potatoes and pie!! The original version was SUCH a hit last year. I’m going to try the adjusted one here! Sadly, I have already picked out my raw nut loaf recipe for tomorrow, but lentil balls are IN for Christmas! (And for some reason we do coleslaw in my house for Thanksgiving–which I will mock with a cashew cream sauce. So I’ll try the kale salad at Christmas, too.) Thank you for giving a newly-diagnosed (thyroid trouble) gluten-free vegan gal HOPE for Thanksgiving (that doesn’t involve crescent rolls or Cool Whip). ;) Lots of vegan love headed your way! Hi Angela. 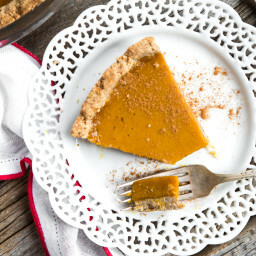 Do you think it would work to substitute an alternative vegan-fat for the coconut oil in the crust for the pumpkin pie? Does it have a strong coconut flavor? Thank you as always for wonderful vegan recipes. I’m hosting dinner during the Christmas break and am looking to impress family. I will be making the walnut/lentil balls and cranberry and pear sauce. I was thinking of a roasted veg. side dish- your labour day salad from last year perhaps? also,I never got to try your sticky toffee pudding from last year, will have to make that too! 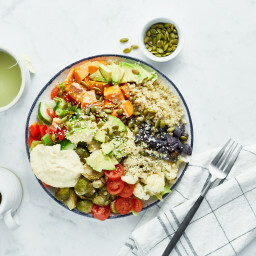 Hi Angela, this looks amazing, can’t wait to make all of it!! 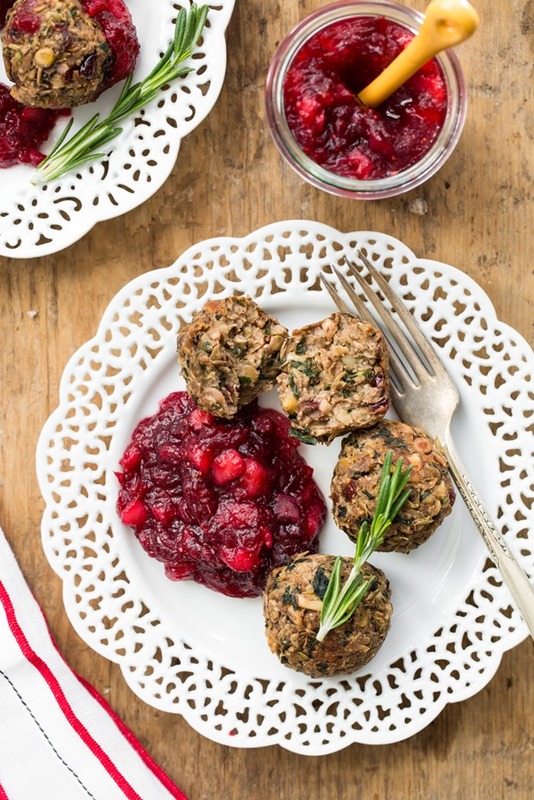 One thing though, I don’t know if anyone else has mentioned this, but the link for the Lentil Mushroom Walnut Balls with Cranberry Pear Sauce doesn’t work… I tried a bunch of different ways of navigating to that post but it just doesn’t work. Anyhow, i’m sure its just a little glitch. :) Happy Holidays to you! We don’t celebrate Thanksgiving in Australia, but this menu looks like a delicious meal to enjoy any time of the year! Everything just looks so yum! I cannot BELIEVE how gorgeous those photos look!! The other morning when I was making your recipe for graham wafers, a thought occurred to me. As I was taking my labelled glass jars out of my pantry and adding a pinch of this and a measurement of that I felt a wee bit like a sorcerer. Wonder if you ever have had that feeling? Made me start laughing!!! You definitely have a way of making things come together and taste great. We love the graham wafers!! Wonder what a sorcerers cooking hat would look like? This is the first Thanksgiving that I am spending Vegan and your recipes have been so extremely helpful! I was having a lot of issues at first with finding recipes because I like to stay away from the faux meat as much as I can, but when I found your website my Vegan Thanksgiving finally seemed doable. Thank you so much and keep up the amazing work! So happy to hear this Alexandra! Gorgeous post….it made me feel like i was able to join in the celebrations too! I will bookmark this for Christmas recipe ideas. Thank you! Every dish we made for thanksgiving tonight was from a recipe of yours. And every single one of them was beyond a hit! I’ve been making your pumpkin pie and sweet potatoe casserole for three years now and I get recipe requests every time. This year though, not only was there recipe requests after dinner but everyone made me get a recipe for their dish from you! Hence the entire ohsheglows menu. I absolutely love your tastes, your style, and every single recipe I’ve made. I am a huge fan and cannot wait for your book! It’s already in my amazon wish list!!! Thank you for sharing all of your yummy creations with me! Wow!! This whole meal looks amazingly delicious! And to think it’s vegan and gluten free!! I had a gluten free Thanksgiving because I am gluten intolerant…. thanks for the great menu ideas! Angela – I am a big fan of your site and recipes. For Thanksgiving, I made the lentil balls and your mushroom gravy – along with more traditional foods – as I am the only vegan in my family. I ended up putting the gravy into the blender. It was so delicious that my very unvegan son was eating it with a spoon! Thank you so much for your generosity and creativity. Hey Allison, I’m so happy to hear this! Thanks for letting me know :) Happy Thanksgiving! So far I only made the sweet potatoes and the Lentil, Mushroom, Walnut balls. They were both fantastic! Non-vegans liked them too. I’ll be making them again for Christmas to share with family who didn’t get to try them yet. Thanks for another great recipe! I made the pie and it was cloyingly sweet. Are you sure both sugar and maple syrup are necessary for the filling recipe? The slight tweaks I made to it were all for the filling. I used almond milk, brown sugar for half the called for cane sugar, 3-4 pinches of salt (it just needed a bit more for my taste), and added a little less than 1/8 tsp each of cloves and allspice (probably about 2-3 pinches of each). This whole post is so well thought-out, Angela! I didn’t make this menu for Thanksgiving, but i think i’m going to use it for christmas! It looks so simple and not-overwhelming while still being enough, you know? Really appreciate the time that went into this one! Question here: how long do you think the lentil balls can store refrigerated (not frozen)? I am thinking about making them, packing into a checked bag, taking a flight to a family holiday destination, then serving 4 days later. I don’t want to have to buy all the ingredients at the destination and thought this plan might work. Thoughts? Hey Kate, I don’t think they would last very long unrefrigerated due to concerns over bacteria forming if kept out too long. I probably wouldn’t keep them at room temperature for longer than 2-3 hours ideally. Not sure what the temp is under the plane though! As for the fridge: I’ve enjoyed them in the fridge for up to 4 days. Hope this helps! Thanks a lot Angela! My husband and I made this for a special dinner with friends and it was a big hit. We love your blog and have already tried many of your recipes since we discovered it last month! We had the walnut balls for Thanksgiving! YUM!!! I am looking forward to some much-needed down time from work and some quality time with our families! I’m really looking forward to surprising all of my omnivorous friends and family with some delicious vegan treats! So excited to try some of your gluten free ideas this holiday season! Love it! CAnt wait to try it. My mother and I made the lentil balls for thanksgiving and absolutely adored them! They are the perfect flavor to savor for the holidays, and with a little cranberry sauce…forget about it! Thanks for the holiday inspiration! Made the lentil balls and cranberry sauce, kale salad, roasted cauliflower and Brussels sprouts, and I made your golden beet salad with shallots and orange miso dressing. We finished with the pumpkin squares with coconut whipped cream. My non vegan family raved about it! I live in California and my sister from Seattle joined us. When she walked in she said, “Is this all Angela’s stuff?” We’re both huge fans of your website and most of my “stuff” is your “stuff,” lol. Thank you for all the wonderful recipes! The mashed sweet potatoes are AWESOME!!!!!!! I made a triple batch for the Thanksgiving meal I went to at a friend’s, and…of course…there was so much food that there was a double-batch of leftovers for me to take home. Which was GREAT because I could seriously eat these sweet potatoes for breakfast, lunch, dinner & instead of ice cream. YUM! Thanks! I feel my heart is stolen, too! 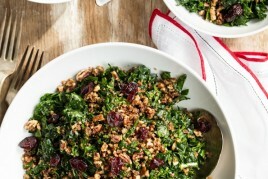 The shredded kale salad looks great – hope you had a wonderful Thanksgiving dinner! I’ve tried the ”Lentil Walnut Balls” very delicious!!! I’ll will make this during the Holidays! 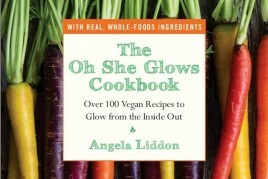 I really love all your recipes Angela, can’t wait to get your cookbook! Happy Holidays to you and Eric! I made the pumpkin pie for Thanksgiving and my entire family loved it. Even those highly sceptical of gluten free, vegan desserts. I discovered your blog earlier this year and all the recipes I have tried have been delicious! Thank you for the inspiration! Hey, I just made the pumpkin pie and they smell AAAHHH-mazing but mine is no where near as smooth as yours it was actually spreadable and the spatula marks remained…can you think of what I did wrong? Hey Melanie, My guess is that your pumpkin was more firm or dense than mine was – so in this case, you can add a bit more milk to thin it out. I’ve added this note to the directions. Hope this helps! My sister made us this meal tonight and everything was exceptional. Thank you for this amazing Christmas menu! My nephews and everyone loved your pie. I subbed sweet potato for the pumpkin. I only had a tiny sliver before it was gone, so I’ll have to make it again to get a good taste of it. Thanks. I was worried it wouldn’t be firm enough, but was surprised how firm it was without tofu. I like firm pies like this and loved the glossy look of it (also reflected in your photos). Thank you for sharing this! I made the entire menu for my christmas dinner together with some homemade gluwine, and it was very good! Especially the pumpkin pie and sweet potato mash were devine! For the pumpkin pie I only substituted the arrowroot for Agar Agar because I couldn’t find arrowroot, and I used Rucola instead of Kale in the salad. Thanks! THANKS for this menu, Angela! I just made it for Christmas dinner and it was a big hit – delicious and made the day special! Happy New Year! Wow!! I made the lentil balls as part of my Christmas dinner and they were AMAZING!! Thanks so much for sharing!!! This recipe is a big keeper in my books! if you had to guees, how long would frozen lentil-mushroom balls take to thaw? they look like a great make ahead option for american thanksgiving next week. I made your Vegan Thanksgiving dinner last night and today! It was delish! While it was a bit time-consuming, it was so worth it and I have plenty of leftovers to freeze and enjoy at a later date. The lentil walnut balls fulfilled my stuffing craving. Now I need to figure out how to use up my remaining rosemary, thyme and sage. Any suggestions ? Thank you for a tasty, inexpensive, easy meal! 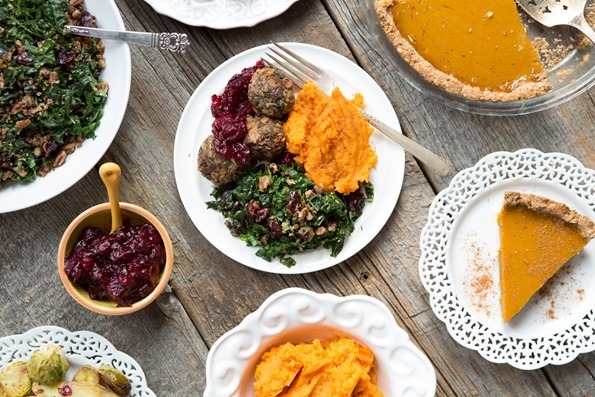 This was our first year of all vegan Thanksgiving dinner and your recipes made our holiday a memorable success. I refer readers to your site. YA!!! I am doing this whole meal with a few of my special touches! But I love it!! thanks so so much for your amazing recipes! :) you are a new favorite for me and my budding 12 year old chef!! :) Thank you thank you!! SOS I’m getting ready to make this pie right now one question if I wanna use almond flour instead of oat flour how much do you think I need??? I also made the pumpkin pie – that crust is the stuff of legends! My only failure was the whipped cream. Couldn’t figure out that coconut cream. Next time. That’s awesome! So glad you enjoyed the menu and pumpkin pie :) Hopefully the whipped cream works out better for you next time — let me know if you have any questions and I’m happy to try to help! That’s really nice delicious food. Personally I am a big fan of you. I really love to read your story. Next week me and my family will go to visit and I want to surprise them to make mushroom balls and cranberry pear sauce. I want to memorable the trip to make this recipe. To come back home I will definitely update your blog page that how was the journey with your delicious recipe. Thank you for your great recipe. Looks great! One guest hates mushrooms. Any suggestions for a substitute in the walnut balls? Oops, it should read: or where it was purchased? Hi Diane, Thank you! It was a Pier 1 find several years ago. I wish I bought more! I’m not sure if they still carry it or not. Hi. I made this for Canadian Thanksgiving and it was a hit. This was the biggest meal I’ve ever made myself but the step by step instructions made it very easy. Thank you! Next post: My Go-To Holiday Cocktail – Quick, easy, festive, and low in sugar!